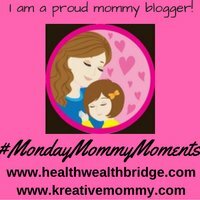 MondayMommyMoments is my way of journaling about motherhood.It’s a great way to keep track of milestones ,tips, and tricks. The best memory keeper is my brain.But for backup, I have a variety of options.I never thought being a mommy would be so much fun.Imagine till 5 years of age you could be I was infallible in a little person eyes. Then she will have occasional doubts. I am dreading the time when moms are never believed. But even with all ups and downs, this is an experience which changes you and makes you better like nothing else.It is also the best way to build up your patience, perseverance. While every moment is special storing those memories can be a challenge. Luckily we have several options online and offline. LED TV Photo slide.Just plug in your hard disc with your photos and watch one after another, memories flitting through the screen. Laptop: Never forget to update these and increase your memory.Always a great option for backup of the digital memories. Hard disks, Pen drives Memory cards. Plenty of options to choose from.Most of these are free for a considerable amount of digital data.You will have to occasionally clean up. This is a great option with unlimited storage.But always adjust your privacy settings to allow only yourself or family/close friends to view. The password should be strong.I try affirmative password which helps me every time I sign in! If these platforms suddenly wind up or change their policies (which they can. remember Orkut ? ).you may lose your precious pictures if you have no backup. Facebook with adjusted privacy settings. YouTube: You can make it private unlisted or public depending on what you want to share.With unlisted settings, you can share the link. How do you keep your memories of Motherhood stored? The first #MMM ebook .Co-authored by Deepa ,Dipika,Geethica,Anupriya ,Ila and me! Click the blue button below and join the linky. Nice ways to store our memories. My favorite is the photo wall. I love photos on the walls. I love all the ideas. and super excited as this time I am a part of this chain. Great post! I love my digital photo frame. I am constantly changing and adding new pictures. So easy to use too. I liked the option of LED photo frame. You can store as many as you want and they keep on changing with time adjusted. Digital Photo frame….glad you reminded me about it. I got it as a gift, but never used it. I keep most of my digital possession in Google cloud, Dropbox and Flickr Gallery. The only problem with Google cloud is it reduces the size of the original image. That Amazon hard drive is a real savior when it comes to storing some valuable memories! the photo wall sounds like a superb idea! I can be sad, in a way, that there were no blogs back when I was raising my son. On the other hand I’m a bit old school – nothing digital is permanent. Nothing. I rarely print photos anymore and my future grandchildren may not have nothing much to look at if the digital world goes away. The line ‘Imagine till 5 years of age, you could be, I was infallible in a little person eyes. Then she will have occasional doubts’ made me chuckle but what you have said is completely true. There will be a day, soon, when we will no longer be the Always Right types and then we will be required to cash upon the huge bank of patience we have learnt to build. Photo wall is a good idea for me to try out. Yes, in addition to photo collages, there are even photo books now based on hashtags. The wonders of technology, right? You reminded me that I need to get a hard drive to transfer my pictures over just in case. Eek. I really need to do that. someone bought us a digital frame recently. Never thought I would like them, but it is pretty cool! Photo collage is my favourite even in this digital world, since they give me so much personalisation. I even love maintaining a photo diary of some great moments of us! Our digital kingdom, our blog is my favorite and the pictures too. Digital photo frame is a great idea to store and display pictures. I like picasa and have a seagate hard disk too.